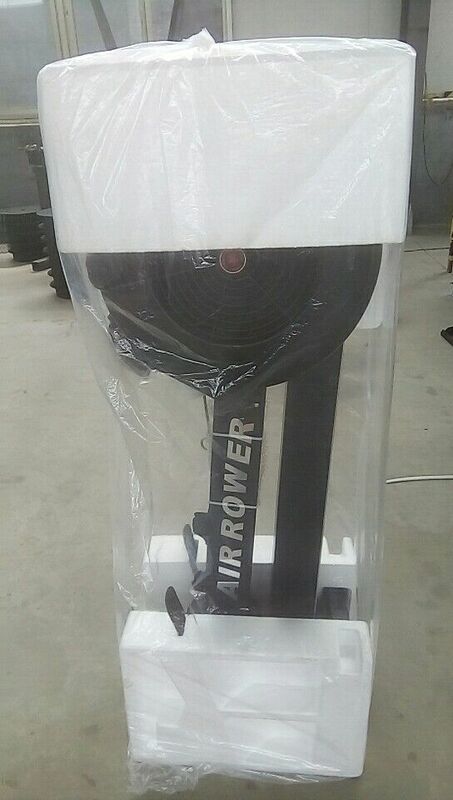 Recognized by competitive rowers as the standard for indoor training, the rower delivers an effective cardiovascular workout that will increase your fitness level and tone your physique. At a fraction of the cost of other home fitness equipment or a yearly gym membership, you can have the luxury of working out in your home whenever you choose…and get a great workout to boot. 13) Power Requirement: Takes two D cell batteries. 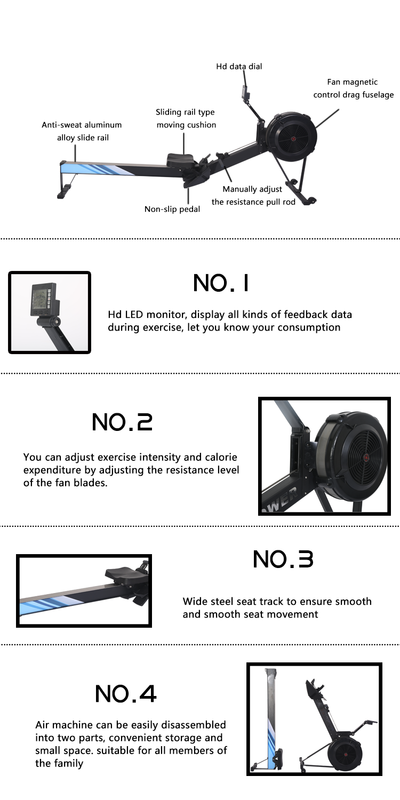 During your workout, the monitor draws power from the spinning flywheel to extend battery life. 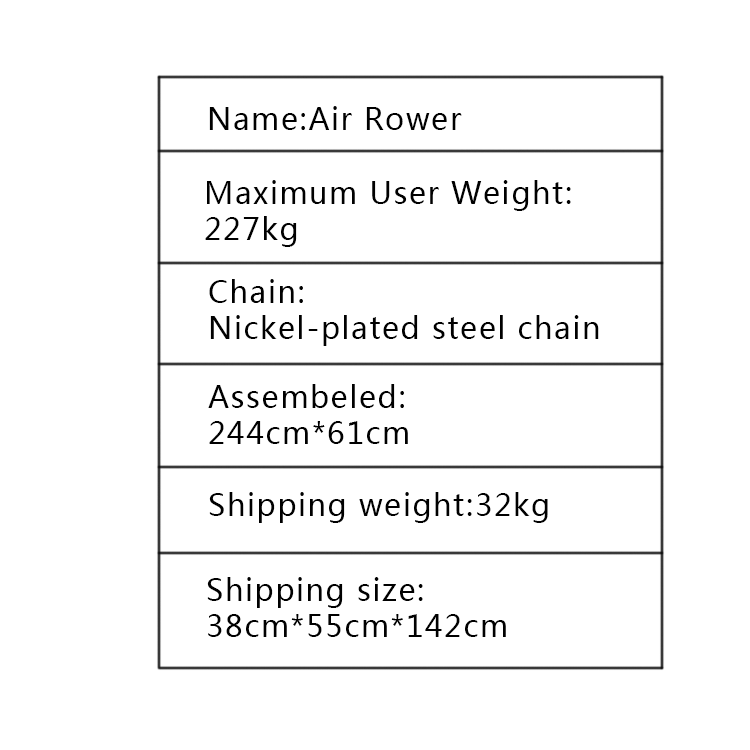 15) Weight: 135kg as tested per European Stationary Fitness Equipment Testing Standard EN 20957-7. 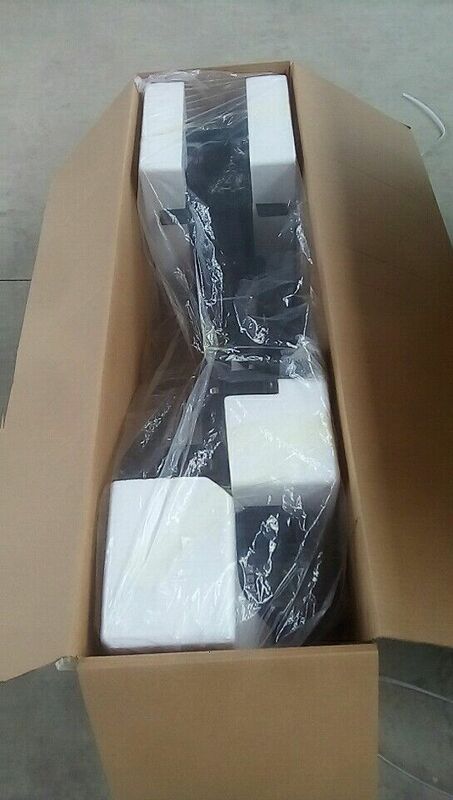 17) Monitor Arm: ABS plastic. Pivots for storage and to adjust monitor height. Monitor angle can also be adjusted. The warranty period commences from 60 days after leaving the factory. 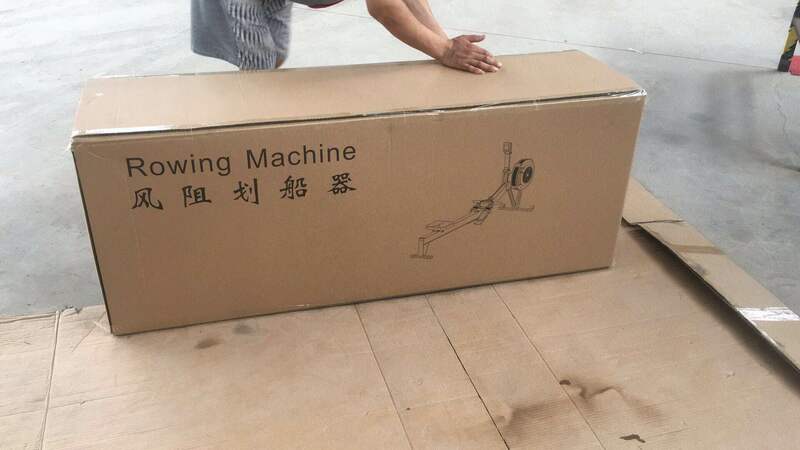 Send your inquiry to our good quality New commercial fitness air rowering gym machine products.